In spite of the performance-focused brief, the Audi S6 is best described as an effortlessly fast executive sedan rather than a practical four-door with sporty ambitions. Driving force is provided by a 450-horsepower 4-liter eight-cylinder gasoline engine, with that output being transferred to all four wheels via a seven-speed automatic transmission. The focus on comfort means handling dynamics are a bit blunted, though the trade-off is excellent day-to-day road manners. Being the Audi A6 sedan range’s top tier model, the Audi S6 is also crammed with technology, and should be a very safe vehicle too. Though not as potent as the Audi RS6 Avant wagon, the Audi S6 sedan does offer plenty of oomph – as expected from a vehicle with more power to call upon than many a premium sports car. What’s perhaps most striking about the Audi S6, however, is that this straight-line pace doesn’t fully translate into an engaging-to-drive sports sedan: though it’s not dull or uninspiring to drive, the Audi S6 feels far more at home on a highway or a gently meandering road than at a racing circuit on a track day. 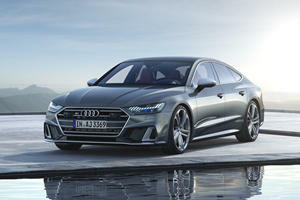 Whilst that will disappoint more dedicated driving enthusiasts, the net result is a very well-made and spacious four-door sedan that refreshingly provides a user-friendly and comfort-oriented approach to a sports sedan that makes the Audi S6 stand out amongst its racier competitors. In true Audi fashion, the Audi S6’s interior is amongst the most pleasant you’ll encounter in this class, and certainly worthy of the car’s $70,900 MSRP. High quality leather and plastics dominate the cabin (with options of metals and even carbon fiber trim pieces), and build quality is nigh-on faultless. Storage space is impressive too, with an assortment of cubby spots as sizeable as they are plentiful, and ergonomics are also sound. Room for passengers isn’t admittedly as competitive in comparison with more spacious rivals, though there’s still satisfactory amounts of head and leg room in the front and back seats. Likewise, the 14 cubic feet of trunk space isn’t class leading, but is still pretty accommodating by segment standards. The Audi S6 may be on the sportier end of the sedan spectrum, but don’t expect much dynamism from the car when it comes to handling. Whilst it’s undoubtedly very fast and feels very planted and secure to drive, the overall experience isn’t quite as engrossing as the performance statistics suggest. 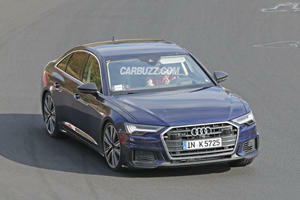 This softer edge, though, does endow the Audi S6 with rather likeable qualities for day-to-day driving. Adaptive air suspension does an impeccable job at ironing out road surface imperfections, which combined with the impressive noise insulation levels makes the Audi S6 a terrific long-distance cruiser. As with many sedans, rear visibility is compromised slightly by the thick rear pillars, though they are remedied somewhat by the standard-fit blind spot monitoring, reversing camera and parking sensor systems. Unlike the standard Audi A6 range, the Audi S6 sedan can only be specified with one engine: in this case, a 4.0-liter eight-cylinder gasoline engine with 450-horsepower on tap. With such performance at its disposal, the Audi S6 has no qualms with amassing speed at an impressive rate. In fact, the real surprise is that the engine provides such pace with little sense of occasion, with these muted traits being even more noticeable when the car settles to a cruise. A seven-speed automatic transmission is ideally matched to the more relaxed engine characteristics, though does change gears smoothly and quickly – especially when using the steering wheel-mounted paddles. Fuel economy is expectedly so-so, but the 19mpg city/27mpg highway figures are impressive considering the power of the engine and the size of the car it’s propelling. 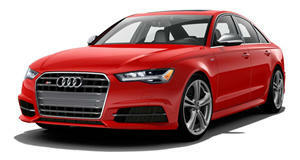 Being the top rung in the Audi A6 sedan pecking order, the Audi S6 is appropriately loaded with features. Quad-zone climate control, heated front seats, a premium audio system and the aforementioned safety aids from the ‘Driving’ section come as standard on ‘Premium Plus’ models. With the ‘Prestige’ trim including a powered trunk lid and a heads-up display. 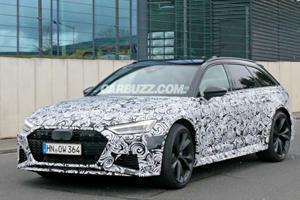 Safety features also impress, with the array of systems available meaning the excellent five-stars NHTSA crash test rating for the standard Audi A6 will be transferred without a hitch to the more comprehensively-equipped Audi S6. More dedicated driving enthusiasts may want to look elsewhere to get their executive sports sedan fix. Those who want a more laid-back vehicle that’s at its best on a highway instead of a race track, though, the Audi S6 does offer an enticing overall package. Stealthy sedan lays down some hot laps on track before 2019 debut.